This light filtering, classically styled glass insert is an excellent choice for bedrooms, studies or home offices. 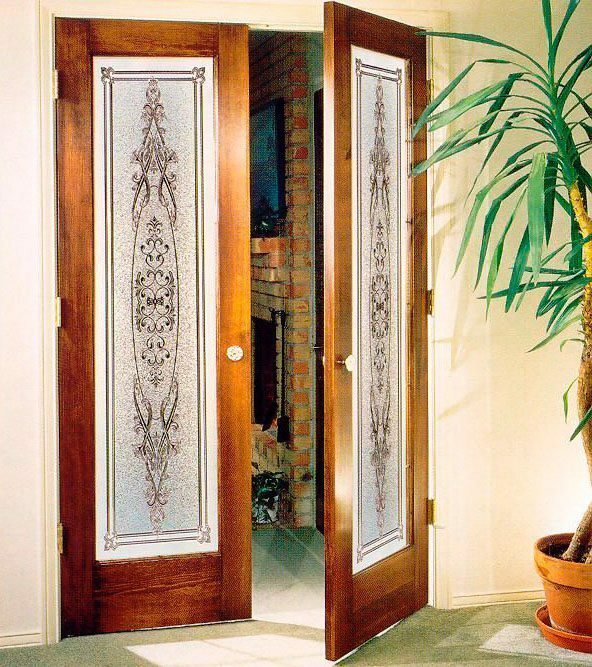 The door design provides you with a modern old world charm. Options available include: Pre-hanging, Single or Double jambs in Oak or Clear Pine, Heights to 96 in.